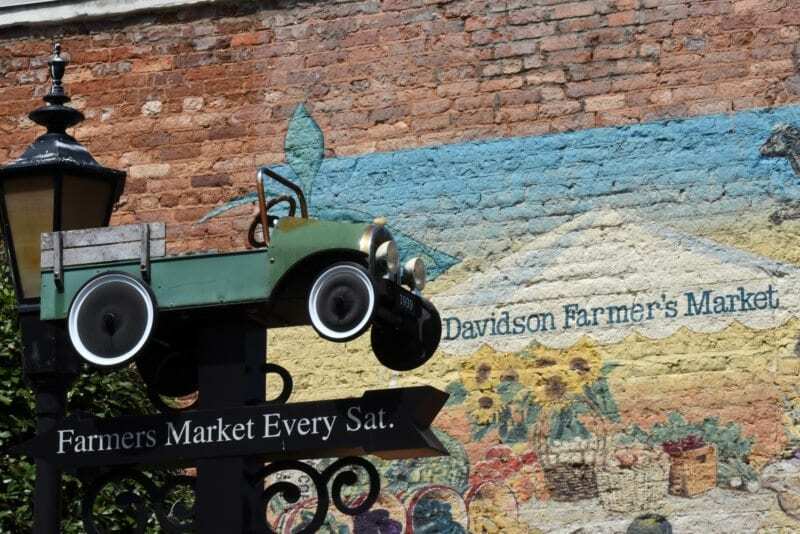 The Davidson Farmers Market is held Saturday mornings. Come hear the Davidson College Chorale in their spring concert, Elemental!—a paean to fire, water, air, and earth. Feast your ears on this choral sonic tapestry representing all the elements of the Earth. This concert promises variety and fun that will be both cool and hot. Don’t miss it! Free and open to the public. The Wildcats host the Rams for a 3-game weekend stand. All games at Wilson field are free and open to the public. Food and drinks are available at the concession stand located along the 3rd base side, with proceeds supporting the Field Hockey and Volleyball teams. Legendary jazz guitarist Pat Metheny joins the Davidson College Jazz Ensemble for an evening of awe-inspiring music. Metheny has reinvented the jazz guitar sound for generations to come and has performed with artists as diverse as Steve Reich, Herbie Hancock, to David Bowie. Over the years, Metheny has won countless polls as “Best Jazz Guitarist” and awards including three gold records for Still Life (Talking), Letter from Home, and Secret Story. He has won 20 Grammy Awards in 12 different categories, has been elected into the prestigious Royal Swedish Academy of Music, was presented the UK Jazz FM PRS Gold Music Award for Lifetime Achievement, and recently joined the ranks of the nation’s highest honor in jazz, the National Endowment for the Arts Jazz Masters. The concert is listed as SOLD OUT, please contact the Union Box Office at 704-894-2135. Join us as we travel to “The Moon and Beyond” as part of the NC Science Festival’s Statewide Star Party. We will have activities and demos beginning at 6 p.m., a lecture at 7:30 p.m. and stargazing from 8:30-10:30 p.m. (weather permitting). More information about this event. 2nd Year of Walk with A Doc (WWAD) begins this Saturday April 13th. We will meet at Good Drip Coffee, 108 Main Street, 2nd floor above AVA Gallery at 8:00 AM for coffee and treats then on the Village Green for our talk and walk at 9-10. WWAD will be the second and fourth Saturdays of each month through November. See our Facebook page Walk with A Doc Lake Norman for more details. Come out and join us Saturday as we Educate, Exercise, and Empower each other one step at a time. The Wildcats host A10 rivals GW – weather permitting outside. In the event of rain, the match will be held in the Knobloch Tennis Center. STEAM Stories with Maura blends STEAM and literacy, using fun experiments to discuss stories and help with reading comprehension. Maura teaches at Assurance Preschool, and is a mom of two boys. She spent her high school and college years volunteering for Two Together, a one-on-one literacy tutoring program, and was a co-founder of the After School All-Stars literacy program in Albany, NY. Maura is a freelance illustrator who is passionate about STEAM education. Main Street Books story times are always free and open to all ages. No registration necessary. Marina DelVecchio is a former high school English teacher with twenty years’ teaching experience in literature, creative and academic writing, and research. She has received several awards for her writing from The Writer’s Digest Annual Writing Competition (2011-2015), and her work has been published by The Huffington Post, WE Magazine for Women, The New Agenda, and BlogHer. She has worked as a contributing book reviewer of women’s literature for Her Circle Ezine and as Assistant Editor of Poetry and Non-Fiction for QU Literary Magazine (2014-15). In print, her work has been published by Cengage Learning’s anthology on Media and Violence against Women (2013) and She Writes’ collection of essays titled Three Minus One (2014). She was a finalist in the 2015 Tiferet Writing Contest, and her craft essay on writing immersion memoirs was published by The Tishman Review in June 2016. Davidson wraps up its 15-practice spring schedule Saturday, April 13 with the 2019 Spring Football Game at Richardson Stadium set to kick off at 1:30 p.m. In a free event open to the public, head coach Scott Abell‘s Wildcats look to showcase their progress made over the course of spring practice sessions and offseason lifting. Heading into his second season on the Davidson sidelines, coach Abell is looking forward to seeing the Wildcat faithful out to support the squad. Davidson College Alumna Ian Johnson (Class of ’06), the author of The Bounce and the Echo, will be at Main Street Books on April 13. Pittsburgh native Ian Johnson played four years of Division I basketball at Davidson College and five years of professional basketball in Europe. The Bounce and the Echo is the story of his attempt to find peace with a game he so badly wanted to love. Ian will be in conversation with classmate Matt McKillop, Davidson men’s basketball associate head coach. Ian currently coaches basketball in Pittsburgh, Pennsylvania. This is his first book. On Saturday, April 13, the Davidson Film Club is screening the Oscar, Golden Globes, and BAFTA-nominated Best Foreign Language Film of the Year, Shoplifters, winner of the Palme d’or, the highest award at Cannes, and the César for the Best Foreign Language Film. The screening will be held at the Armour Street Theatre at 7:00 p.m. “The film creeps up on you. It yields its pleasures stealthily. It has, however, more to say about questions of public and private morality than whole libraries.” Donald Clarke, Irish Times. Rotten Tomatoes Tomatometer 99%. The film will be presented and discussion led by Lawrence Toppman, award-winning North Carolina film critic. The Wildcats host A10 rivals Dayton – weather permitting outside. In the event of rain, the match will be held in the Knobloch Tennis Center. Join us for the exciting, live final performance as four of the best young chamber ensembles in the nation compete in the sixth annual Young Chamber Musicians Competition (YCMC), presented by Classical Public Radio 89.9 FM WDAV. YCMC, now in its sixth year, is widely recognized as one of the top post-graduate, collegiate, and high school chamber competitions in the U.S. The competition awards $12,000 in prizes, including an innovative $2,000 award by a public jury, scholarships to the Brevard Music Institute at the Brevard Music Center, the Catherine & Wilton Connor Studio Recording Prize, and a performance opportunity in the Davidson College Concert Series. Dessert reception to follow. Tickets available at davidson.edu/tickets. Main Street Hooks is a free and open book and knitting club brought to readers by Main Street Books in partnership with Davidson’s forthcoming craft store Hearts on Fiber that meets at the bookstore monthly for an hour of communal knitting and audiobook enjoyment. Hearts on Fiber staff are available at every meeting to guide beginner knitters/crocheters, while intermediate to advanced fiber crafters continue their own projects in the cozy company of fellow yarn enthusiasts and book nerds. Bookseller and knitting extraordinaire Jan Blodgett is also on site to assist with advanced knitting snafus. Hearts on Fiber also offers an on-site pop-up shop during Main Street Hooks meetings to meet the supply needs of club members. We meet the third Monday of the month and discuss science fiction, fantasy and graphic novels selected by the group. This month our selection is The Dispossessed by Ursula K. LeGuin. Join us for an evening of scenes from the great musicals and operas of yesterday and today, celebrating the work of Davidson’s Voice students in this semester’s Opera Workshop! Works will span a varied repertoire from Bernstein to Rodgers & Hammerstein and Donizetti to Mozart. Drama! Singing! Davidson! What more could you ask for? Admission is free, but tickets are required. For tickets, please contact the Union Box Office at 704-894-2135.